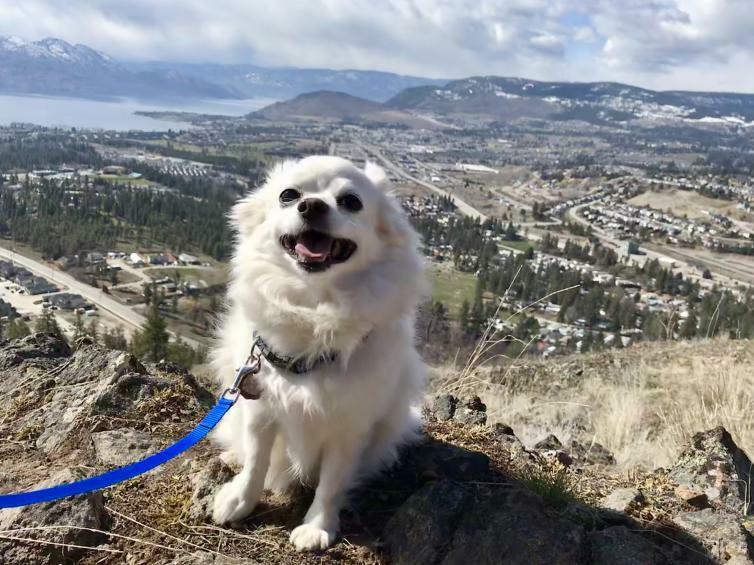 If you love to hike with your dog, Kelowna is the place to be. 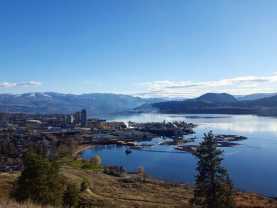 There are numerous hikes around the area where every step up is worth the view at the top. 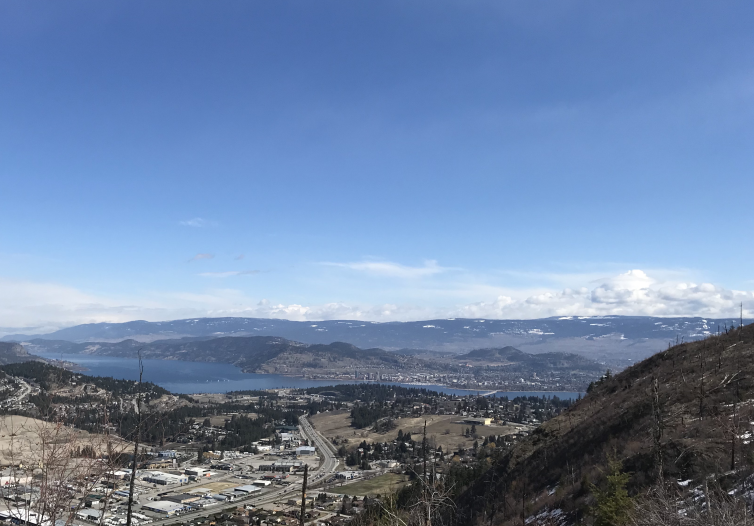 Mount Boucherie in West Kelowna offers stunning 360-degree views of the Central Okanagan Valley that you can enjoy with your canine friends, and the drive is only about 15 minutes from downtown. For optimal visibility, try and pick a day that is at least partly sunny. Rainy days will sometimes bring lower visibility conditions, and you won’t be able to see as far down the lake from the summit. The Boucherie Rush is a 3km trail that will bring you up 274m to the summit. This hike takes about an hour to get to the top and has multiple switchbacks. To access this trail, turn onto Bartley Road from Hwy 97. This road turns into East Boundary Rd. Follow the road approximately 1.5 km and you will see a small parking area on your left. Click here for Google Maps location. 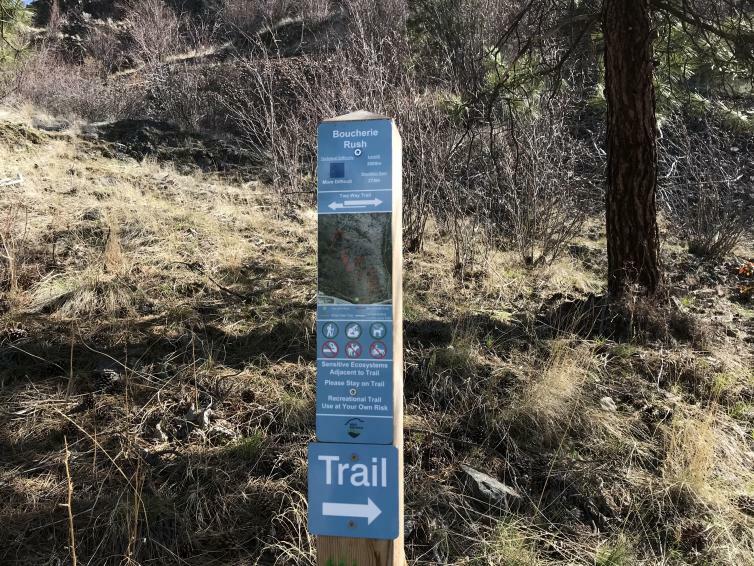 If you are a beginner hiker or if you have younger children coming along, consider accessing the trails from Lakeview Cove Road at Eain Lamont Park, as this option will reduce your elevation gain. Click here for Google Maps location. Don’t forget to bring your camera. 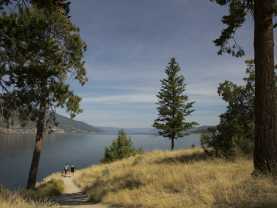 There are several areas where you can take a break and enjoy the view, including at the halfway point. 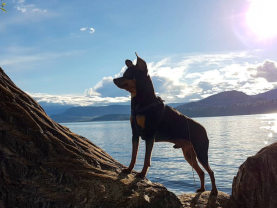 Bringing water is also a good idea for you and your furry friends, and there is a dog water dish at the summit for the public to use. Because the Mount Boucherie trails are multi-use and two-directional, be prepared to yield to mountain bikers or runners. 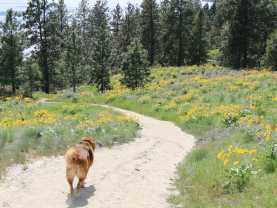 Make sure your dog is in control and on leash, as deer and other wildlife are often spotted on the trail. During the warmer months, rattlesnakes have also been known to be in the area. 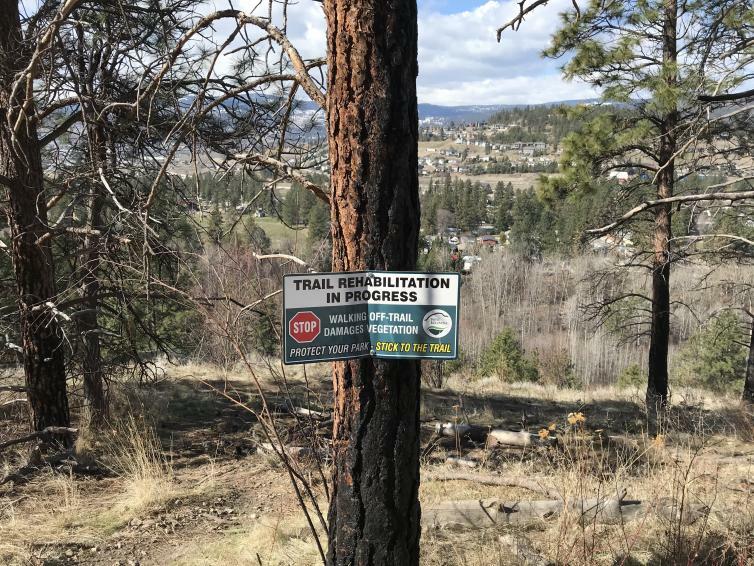 Users of the park are also encouraged to stay on the trails as nature rehabilitation is in progress.